Tapping into the energies of different animals is a beautiful and gentle way for us to get back in tune with nature, and to reignite our compassion, curiosity and intuitive abilities. 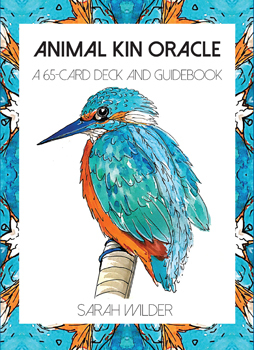 The Animal Kin Oracle is a 65-card deck of unique watercolor animal portraits, where each animal is linked to an element (Earth, Fire, Water, Air or Spirit) with word or mantra association. The comprehensive guidebook enclosed provides further guidance on each animal's special, visceral message. This easy-to-use deck is both stunning to look at and insightful to work with. Whether you choose a simple one-card draw, or a five-card elemental layout, as you work with The Animal Kin Oracle you will discover many ways animals can bring more purpose and magic to your life, help you re-connect with the earth and its animal kin, and deepen your own intuitive abilities.